The report1 of the Special Rapporteur on the situation of human rights in the Islamic Republic of Iran, Ahmed Shaheed2, was presented to the UN General Assembly in October 22, 2013. 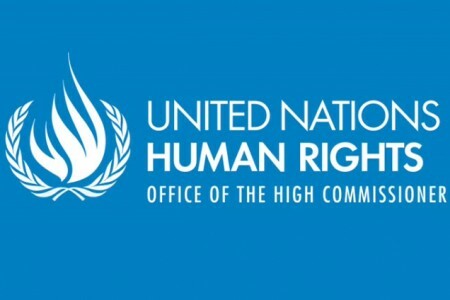 Despite being barred from visiting Iran to investigate first hand conditions of prisons, prisoners and victims of human rights violations, the Special Rapporteur has documented a wide range of violations on freedom of expression and association, administration/misadministration of justice, women and children’s rights, freedom of religion and nationalities rights. In regards to the systematic violations of the basic human rights of persons belonging to ethnic, linguistic or other minorities, including Arabs, Azeris, Baluchis and Kurds and their advocates, the Special Rapporteur recalls the General Assembly’s past concerns that called upon the IRI Government to eliminate all forms of discrimination and other human rights violations against those persons in law and in practice. Despite the Government of IRI’s assertion on its commitment to guaranteeing those rights in its second periodic report to the Committee on Economic, Social and Cultural Rights, submitted in May 2011, nevertheless, the Committee communicated its concern about the impact of State-sanctioned discrimination against minorities on the full enjoyment of a range of economic, social and cultural rights and made several recommendations in that regard. “The Committee also raised concerns about the extreme poverty and inadequate living standards facing ethnic minorities and urged the Islamic Republic of Iran to take immediate steps to improve access to safe drinking water, adequate sanitation, electricity, transportation facilities, schools and health-care centres in regions traditionally inhabited by ethnic minorities.” the report further added. The Special Rapporteur has also included in his report a section on landmines, a hidden enemy that haunts the lives of many, especially children in the bordering provinces of West Azarbijan, Kurdistan, Kirmanshah, Iram and Khuzestan (Al-Ahwaz). According to 2012 report by the head IRI mining centre, 20 million mines and explosives had been buried across approximately 42,000 km along the border of those 5 provinces during the Iran-Iraq war. -Gross domestic product reportedly contracted by an estimated 3 per cent in 2012 and is predicted to further contract by approximately 1.2 per cent in the coming year. Staggering inflation, estimated to have peaked at 30 per cent in 2012/13 and forecast to hover above 20 per cent for the next three years, has had a dramatic effect on the standard of living. Furthermore, Government cuts made in December 2010 to subsidies for social welfare programmes, which contribute to low prices of imported foodstuffs and medications, have reportedly contributed to raising the costs of basic commodities, such as cooking oil, fruit, vegetables, meat and nuts. -They also stress that the supply of advanced medicines, which treat the most serious illnesses, are particularly affected. In this regard, a number of reports indicate that shortages of drugs for the treatment of such diseases as cancer, heart disease, thalassemia, HIV/AIDS, haemophilia and multiple sclerosis, as well as shortages in the materials necessary to repair and maintain medical equipment, are having a profoundly worrisome impact on access to life-saving medical measures in the country. According to the report, a former Iranian Health Minister is reported to have maintained that of the $2.5 billion earmarked for foreign exchange necessary to meet the import needs of the medical sector in 2012, only $650 million was provided, intimating that the funds were misallocated. -In its response to the request of the Special Rapporteur for its observations on the impact of sanctions on human rights in the Islamic Republic of Iran, the United Nations Children’s Fund office in the country highlighted much of the aforementioned concerns and pointed to local newspaper reports that mention the increasing number of homeless working children and elderly persons and the rise in the phenomenon of “street women”. Iran Roundtable, while alarmed by the deplorable human rights and dire economic conditions in Iran under the IRI, welcomes the report of the Special Rapporteur, Dr. Ahmed Shaheed, and hopes that the authorities in IRI take the issue of human rights in Iran serious and act upon the recommendations made by the Special Rapporteur in his report. Iran Roundtable also calls upon the IRI authorities to reconsider their longstanding defiance with the international community by reversing their harmful and unnecessary disputed nuclear program. 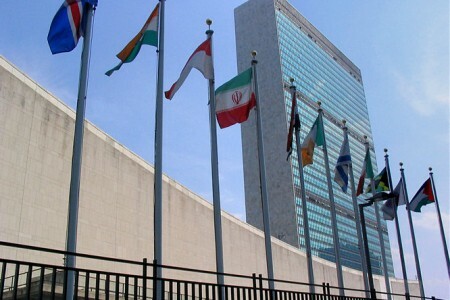 This approach will not only relieve Iranians from the dreadful effects of sanctions, as well illustrated in the Special Rapporteur’s report, but also, if coupled with improved human rights conditions and freedom for all Iranians inside the country will, no doubt, make Iran an effective, strong and responsible member of the international community.